For dogs of 10-20 kg. Minimum quantity for "Frontline Spot On Dog Medium Dog 3 pipettes" is 0. Maximum quantity for "Frontline Spot On Dog Medium Dog 3 pipettes" is 0. Dorwest Scullcap & Valerian Tablets - 100 Tablets. 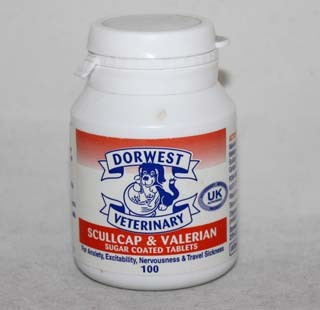 Minimum quantity for "Dorwest Scullcap & Valerian Tablets - 100 Tablets." is 0. Maximum quantity for "Dorwest Scullcap & Valerian Tablets - 100 Tablets." is 0. 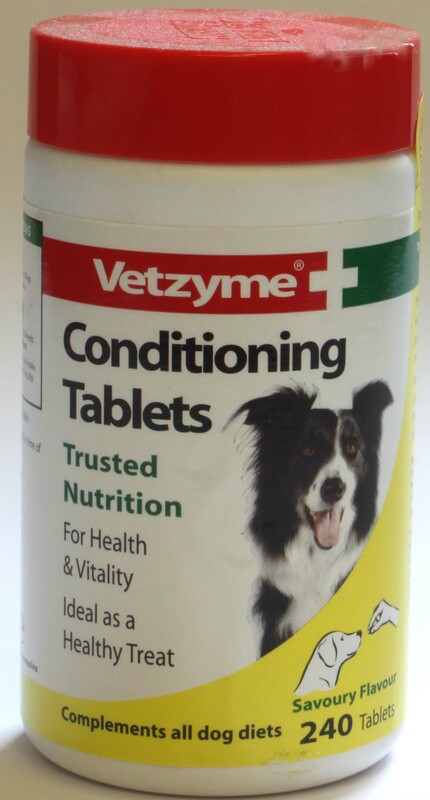 Minimum quantity for "Vetzyme Conditioning Tablets - 240 tablets" is 0. 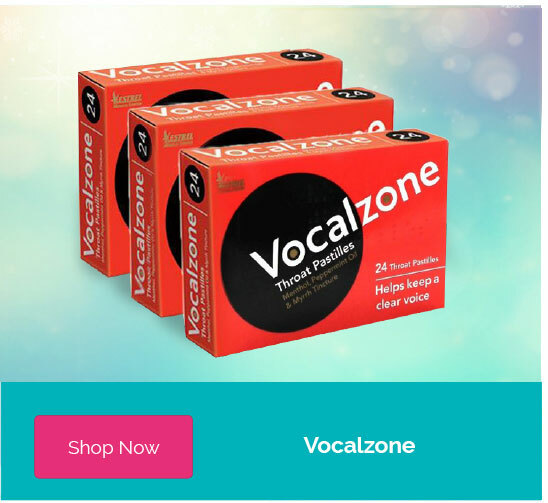 Maximum quantity for "Vetzyme Conditioning Tablets - 240 tablets" is 0. For dogs of 2 - 10kg. 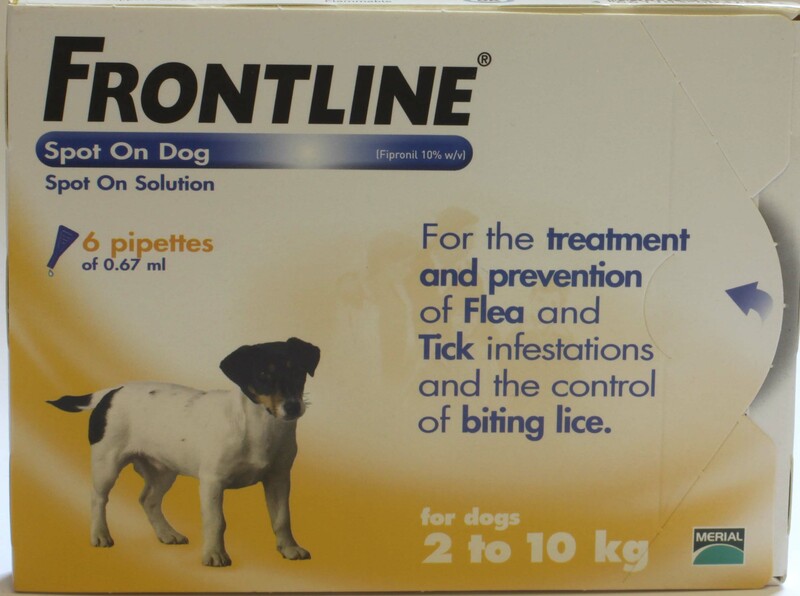 Minimum quantity for "Frontline Spot On Dog Small Dog - 3 Pipettes of 0.67ml" is 0. Maximum quantity for "Frontline Spot On Dog Small Dog - 3 Pipettes of 0.67ml" is 0. 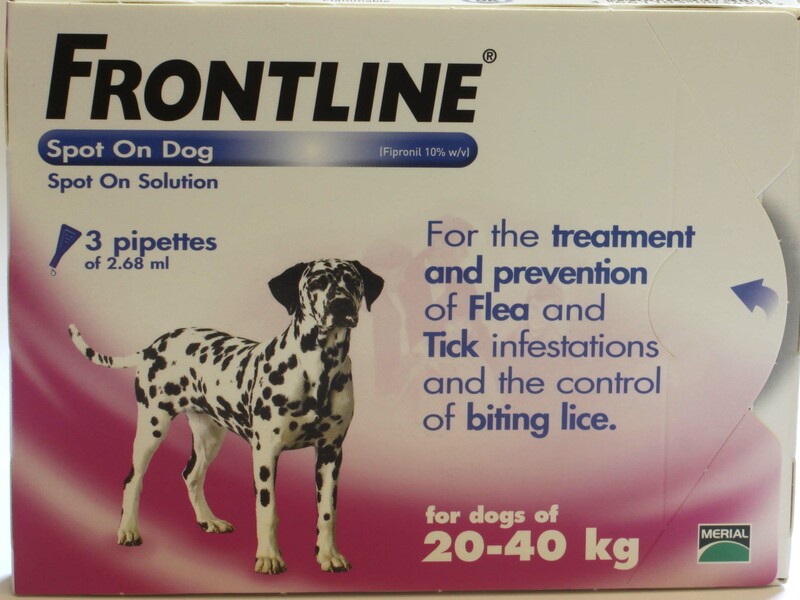 Minimum quantity for "Frontline Spot On Dog Large Dog- 3 Pipettes of 2.68ml" is 0. Maximum quantity for "Frontline Spot On Dog Large Dog- 3 Pipettes of 2.68ml" is 0. 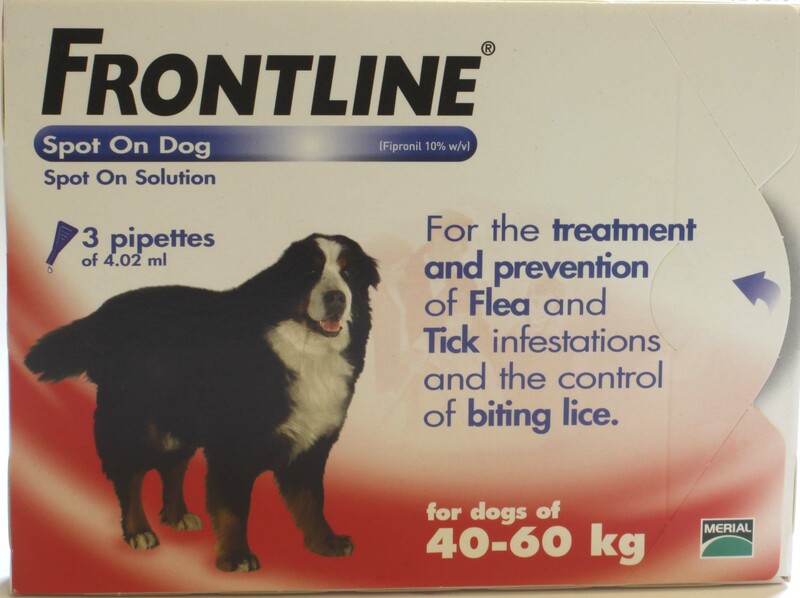 Minimum quantity for "Frontline Spot On Dog Xtra Large Dog - 3 pipettes of 4.02ml" is 0. 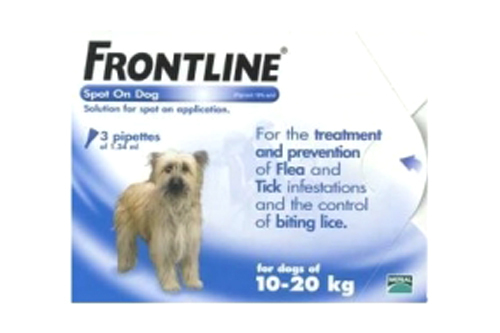 Maximum quantity for "Frontline Spot On Dog Xtra Large Dog - 3 pipettes of 4.02ml" is 0. 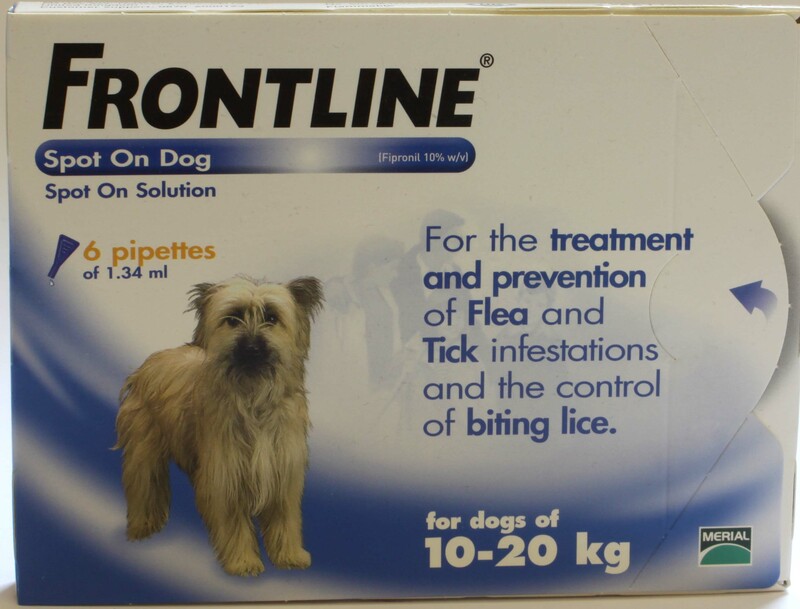 Minimum quantity for "Frontline Spot On Dog Small Dog - 6 pipettes of 0.67ml" is 0. 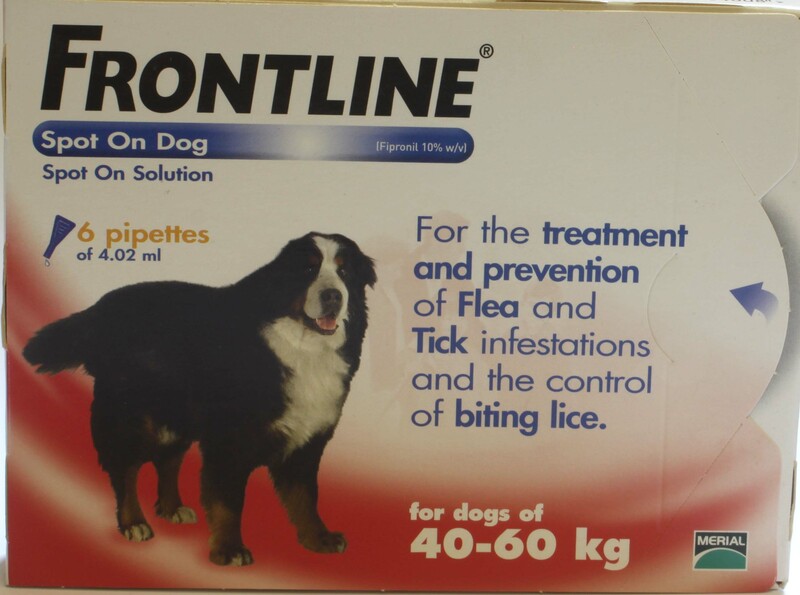 Maximum quantity for "Frontline Spot On Dog Small Dog - 6 pipettes of 0.67ml" is 0. Minimum quantity for "Frontline Spot On Dog Medium Dog 6 pipettes" is 0. Maximum quantity for "Frontline Spot On Dog Medium Dog 6 pipettes" is 0. For dogs of 40 - 60kg. Minimum quantity for "Frontline Spot On Dog Xtra Large Dog 6 pipettes" is 0. Maximum quantity for "Frontline Spot On Dog Xtra Large Dog 6 pipettes" is 0.